It’s true to say that there is nowhere else in Glasgow quite like the Tartan Lodge. 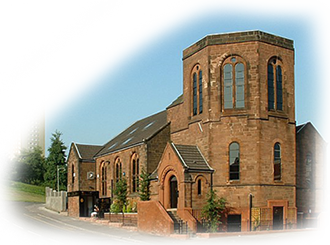 Old world charm and contemporary elegance are interwoven in our hostel set within a former 19th century church and Masonic Lodge on Alexandra Parade, Glasgow. Tartan Lodge provides affordable accommodation for budget and business travellers in mind, comprising of a selection of double bedrooms and twin rooms all with ensuite bathrooms and LCD Tvs. Additionally, our boutique hotel has shared dormitories for budget travellers and backpackers, with a choice of eight, six, four and three bed dormitories for male and female only dormitories offering bespoke bunk bed design which offer a double plug socket, shelve and underneath storage for each bunk. All dormitories include ensuite and facilities for families as well. For an additional fee you can hire Towels from us for £2 (plus £5 deposit), or purchase a padlock for your bunk for £2. We also offer a reading light for each bunk which is available from reception. 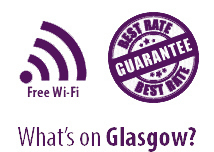 Tartan Lodge is located conveniently close to Glasgow Royal Infirmary and walking distance to Glasgow’s Merchant City Cultural Quarter, George Square and city centre shops and attractions. For refuelling in the evening, a host of pubs and restaurants are nearby in the Merchant City or within our own neighbourhood of Dennistoun. Guests are equally welcome to cook their own meals in our fully fitted kitchen with cooker, microwave and utensils.